> Are the club trying to miss out on the Europa League? Leicester City were handed safety on a plate by a Saints performance that, whilst overflowing with mistakes, was empty of innovation and industry. It took less than 10 minutes for Steven Davis to shirk a challenge and then allow Mahrez to skip past him before burying the ball past Gazzaniga, who had been rewarded for a confident display in the Under 21 Premier League Cup Final with his first start in over a year. On the face of it, team selection appeared positive, with Harrison Reed joining Gazzaniga from the youth team; this was the young keeper's chance to show Ronald Koeman that he won't need to invest in a new keeper in Fraser Forster's continued absence. Unfortunately, Koeman will only have needed 20 minutes to make that decision, as Gazzaniga's skewed clearance fell straight to an opposition player. But still, Leicester had much to do to create a goalscoring opportunity and once again Saints handed the chance to them with some relegation-standard defending of their own. When the shot eventually came, Saints' young keeper waved a flipper half-heartedly at the ball and unsurprisingly failed to keep it out. Just as they did last week, Leicester won the game in the first 20 minutes with an unassailable 2-0 lead. Saints seemed surprised that this relegation-threatened team had come hard at them from the start. The game settled into a familiar pattern, with Saints having significant possession but no chances. Graziano Pellè has all but given up trying to find those little pockets of space which can help to bring Mané and Davis into play. So, as a result, all of our attacks came from deep and were pedestrian in nature. Despite significant space in front of him, Clyne seemed reluctant to waste his legs by getting forward. When he did, his crossing was profligate. Davis' early mistake was a low point in a now customary poor performance; when Filip Djuričić came on too late to affect the game, he showed Davis the level of urgency required to play that role effectively. In Schneiderlin's absence, Wanyama was asked to take on more attacking responsibility, which only highlighted his limitations, for he forgot how to do the basics like tackle and keep hold of the ball. Harrison Reed, despite a few unforced errors of his own, looked much the best player in the midfield's attempts to get to grips with Cambiasso, the opposition's destroyer and playmaker. Wanyama, talking up his own chances of a move to Arsenal, would no doubt have taken heed of how it's done. This performance has become all too familiar from Saints. Koeman and Les Reed must pay attention. There are too many players on the pitch who aren't good enough for a top 10 Premier League side. 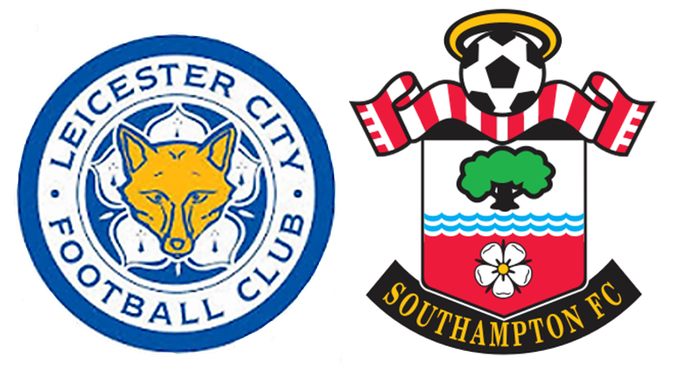 Saints were the team who looked like the relegation-threatened team, and if the summer transfer dealings are conducted with the same complacency as they were in January, then it is entirely possible that Saints might be in Leicester's position in a year's time. Captain Jose Fonte was honest in his post-match assessment (See the interview on the second tab above. -Ed), and his colleagues have 2 games left to redeem themselves if they aren't to leave a bitter taste on an otherwise good season. However, the team are now lacking industry, on top of the lack of innovation which has already scuppered the club's champions league hopes. So it is now quite possible that Saints will finish the season with just 1 point from the last 6 games of the season. On to Villa, and just 2 months ago this fixture would have been a 3 point banker. Saints fans will now be happy with the point that may secure European football next season. But, unless positive moves are made in the transfer market, Saints fans must forget about a Europa League campaign and instead hope that this relegation form is not taken into next season. The warning signs are very clear for the Saints management team.